It’s the most amazing blend of tangy, creamy, salty, sweet. The consistency is perfect – It coats each leaf perfectly and isn’t runny. It’s simple – You probably have the ingredients on hand already – and it comes together fast! 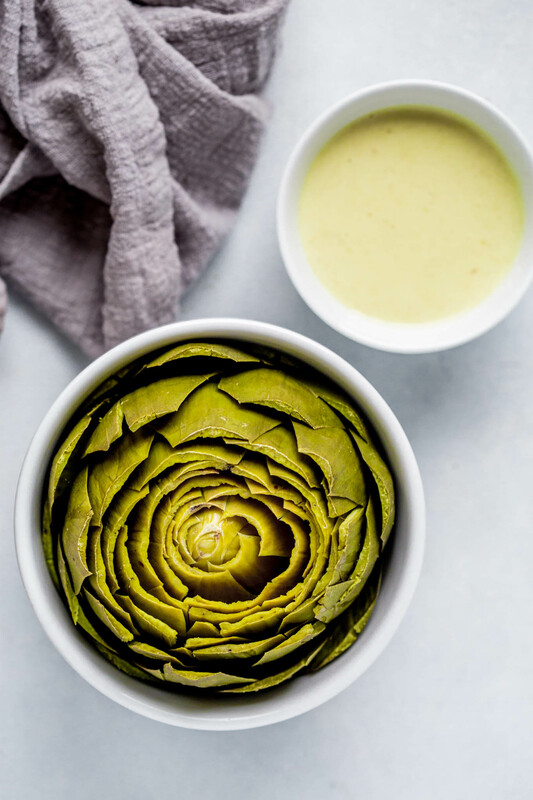 It turns everyone into an artichoke lover – I was eating artichokes furiously at the age of 10, just because I loved dipping into this sauce SO much! For a sauce as magical as this, let’s be sure to get those artichokes just right too, huh? To do that, make sure that you have enough water in your pot so that it won’t entirely evaporate during the 45-minute cooking time. But, make sure that the water doesn’t actually touch the artichokes – You don’t want them getting waterlogged. Set them in a steamer basket about a half inch above the water level. Also, be sure that you cook the artichokes with the cut ends facing down (and the stem up in the air), this way the water will fall back out into the bottom of the pot while they cook, and won’t get distributed into the artichoke. Update: Now I like to make steamed artichokes in the Instant Pot. Instant Pot Steamed Artichokes cook in just 15 minutes vs. 45 minutes, and the flavor is great too! 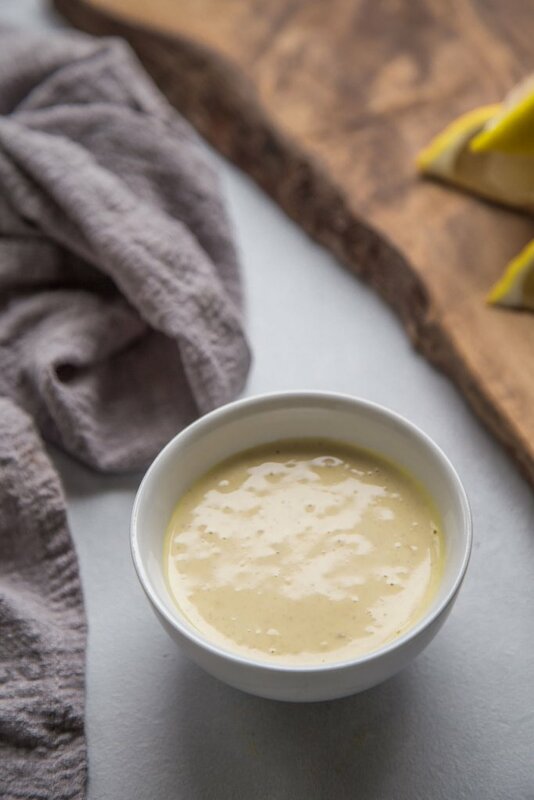 This artichoke dipping sauce is my favorite! 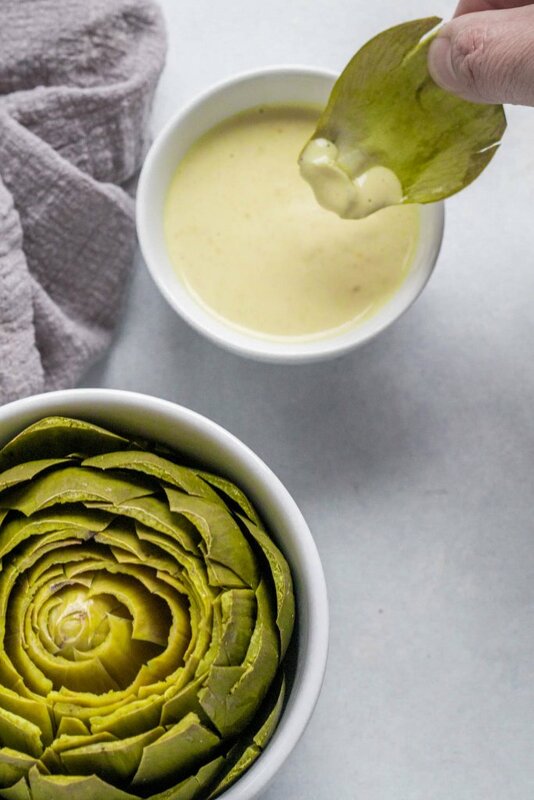 It turns even the pickiest eater into a steamed artichoke lover and is made with ingredients that you probably already have on hand - Like magic! Using a sharp knife, cut about 1-inch off the top of the artichoke. Cut off the stem. Place artichokes stem side up in a steamer basket or rack. This allows the steam to fall out of the artichoke as it cooks. Allow to steam for 45 minutes - 1 hour. Meanwhile, make the dipping sauce by combining all the remaining ingredients in a small bowl. Serve alongside the steamed artichokes. 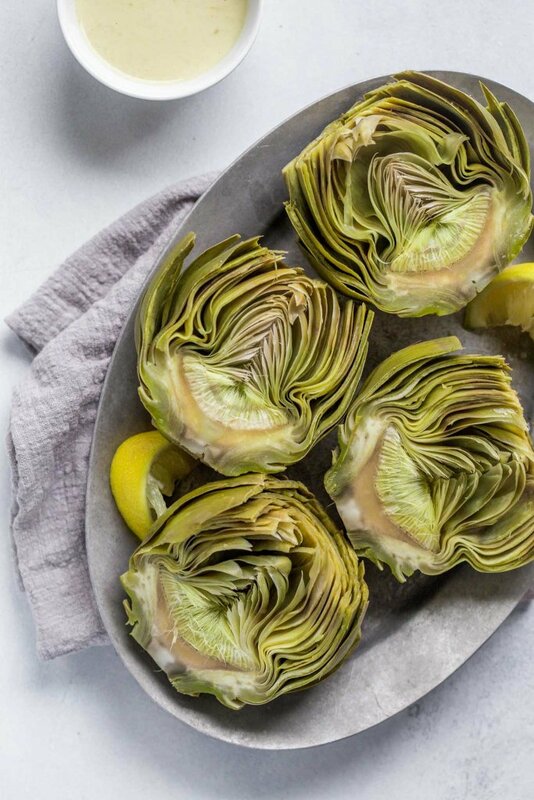 You can also steam your artichokes in the Instant Pot. Note: This post was originally published in May 2016. It was updated in January 2018 to revise the photographs. The recipe and content remains the same. I like how simple this is, and pairing it with a rose makes this a perfect snack to eat out on the patio during the summer! I am so excited to try this! I just bought my first artichoke this weekend and needed to find an easy way to cook it and eat it. I hope you love it Kari! Artichokes are my favorite! Erin, how did you like it the best? Can i use fat free yogurt or mayo? Hi Karla – I think I prefer the mayo. It’s a bit less tangy and more creamy. You can definitely use fat free! My daughter keeps asking for artichokes – I think I might need to buy some and try your sauce! Awesome Lindsay! I think kids love them because you can dip! Sounds delicious my daughter and I absolutely love artichokes,. Going to whip some up tonight ? Artichokes are my FAVORITE! I need to try this sauce! I love them too Karen – Thank you for reminding me that I need to make some soon! You are my kind of girl!!!! Artichokes are so delish! And I know I’ve been doing it wrong (boiling them! eeks!! Sin SIN!) 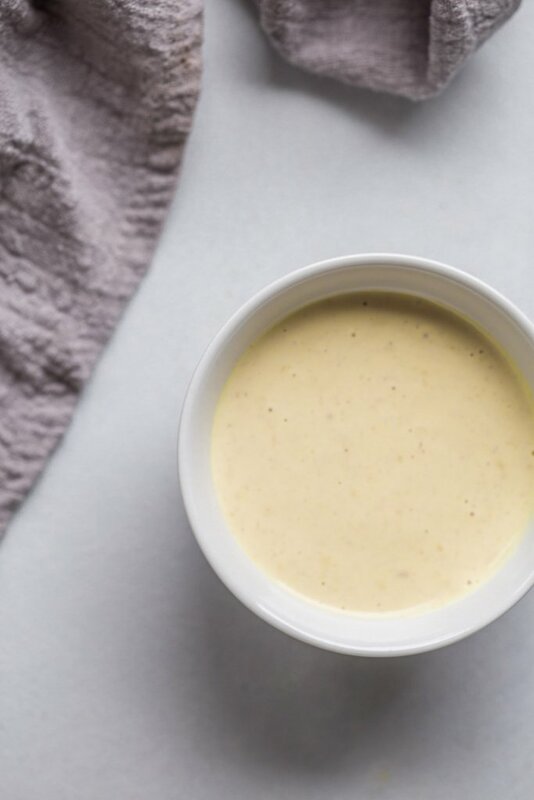 I’m definitely going to try this magic sauce recipe (greek yogurt, yes please!) 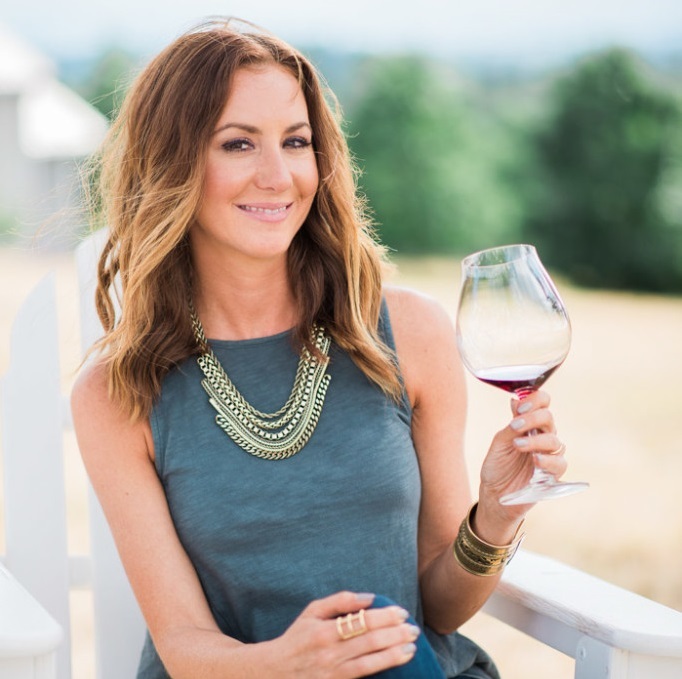 and thank you for the wine pairing. Win win! I hope you enjoy Melissa – I just posted a new recipe today for Instant Pot Steamed Artichokes. If you have an IP, this makes it super simple and fast. Hi!!!! I just your website today and love it! I just love the way explain everything in detail and it’s simple to follow. I haven’t tried a recipe yet but can’t wait too. I also did get an instant pot as a Christmas gift. It takes a little getting use to, but I like the way you explain how to use it in your recipes.. I am definitely going to follow you and try your recipes. Thanks so much for the kind words Bina – Please stop by again! I’ll be putting out a new Instant Pot recipe each week. This was outstanding. I have been cooking artichokes forever and never thought of doing them in the IP. I’ll never go back. And that sauce was to die for. Thanks so much. You are so welcome Angela – I’m glad you liked them! I’ll be cooking up a batch tonight now that artichokes are finally affordable again! Could you use lime juice instead of lemon? You definitely can Kristin – I just prefer the lemon flavor. You could also swap in some vinegar. I’d start with 1 tsp. and then adjust. Hope that helps! Hi Bridget – You can just cook them on the stove. Put them in a steamer basket and cook them for 25-45 minutes depending on the size. Hope this helps! Hi Erin! Had artichokes once as a small kid and loved how unique they were and how good they tasted! I’m 35 now and I am trying them again for the first time since that experience mostly because, quite honestly, I was so afraid of cooking them! Got 2 artichokes today and was looking up a great sauce with cooking instructions when I came across your blog! I have my husband out buying some Dijon mustard as we speak to complete the sauce! So excited! I hope you love them as much as you did as a child Patricia! I think you’ll find that they really are quite simple to cook! Just downloaded and tried the sauce – reminds me a bit of my husband’s deviled eggs, which is to say MOST yummy. Am now eating an artichoke for dinner with the sauce. Saving a copy for future reference. So happy to hear that you liked it Kay! This is a great recipe. The lemon and garlic smells so good while cooking. The dipping sauce is really good too. I was surprised. Normally I don’t like citrus sauces and the dijon mustard really adds a kick. I’m so happy to hear that you liked it Randy! Do you heat up the sauce? Nope – I serve it cold/room temp. Hi! Love the sauce and have a bunch leftover. How else can I use this? Hi Sonja – I think it would also be great as a sauce for chicken, shrimp, or broccoli. Or you could thin it with some more oil and use it as a salad dressing. Hope that helps! EXCELLENT dipping sauce for artichokes. I omitted sugar. Still had a great flavor, hint of garlic plus lime is perfect to go with a plain artichoke. So happy you enjoyed it Jessica!